Emperors Once More is the story of a serial killer motivated by what he believes has been the humiliation of China by the west during the last 100 years and he wants China to reclaim its rightful place in the world order. An incident occurs in the near future that leaves China humiliated again and that triggers the first killings, two Anglican priests. He is hunted down by a mainland detective Alex Soong who is young man educated abroad and who believes that the grim history of China’s past should be left there. Please tell us about the character of Detective Alex Soong. Alex Soong is a mainland detective working in anti-corruption and is brought to Hong Kong to investigate white collar crime. He believes in what’s right rather than what is necessarily legal but he also carries the burden of being born into well-known political family with a legacy he has rejected, which some see as a rejection of China itself. He finds it difficult to assimilate to Hong Kong and is suspicious of the compromise between Hong Kong law enforcement and organised crime which he cannot reconcile. How much does your background in film help you to carve the imagery into your books? One of the most important things I learned is the attention to detail of locations and atmosphere. To be able to build a world that is convincing. When you sit in a cinema watching a film you’ve made and follow the audience, you learn the importance of working hard to keep an audience engrossed. During the years of traveling and living in Asia, I often experienced and saw older Chinese people bitter and angry from lives under colonial rule and in disbelief that their culture of 5000 years was so far behind in the second half of the twentieth century. I was interested to explore this rage but in a crime narrative. Having written my first novel in the first person as a woman, I also wanted to write a story of strong male and female characters in the third person, a crime story gave me the opportunity to do this and hopefully create something entertaining. Please tell us a bit about the Asia Literary Review. 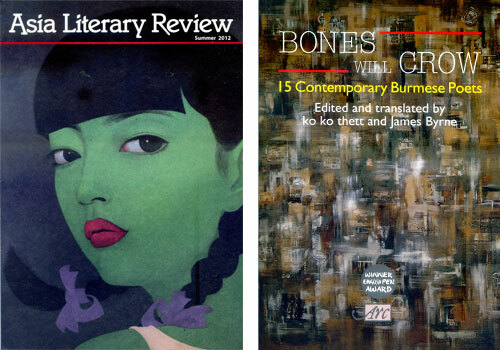 I started the Asia Literary Review with Ilyas Khan and Nury Vittachi with the aim of creating a magazine to focus on Asian writers and Asian stories. The Review lasted in hard copy for nearly seven years during which time we published some great new writers, some well-established Asian authors, for example Su Tong, Han Han and Yan Geling, who were largely read by people searching for works in translation and also some key poetry by dissidents Liu Xiaobo and Liao Yiwu. It is now run by Martin Alexander who has taken it solely digital but continues the tradition of Asian stories and Asian writers. Can you give us some insight into your columns with the likes of the New York Times. I have been lucky to write columns on personal experiences such as SARS, losing my job in the economic downturn, observations on Asian readership and experiences in Nepal making my last film. I am completing the sequel currently titled Us and Them then hope to work on another story of a banking anti-hero. Set a few years hence in Hong Kong, the latest offering from director, producer and lawyer Duncan Jepson again features his home turf – the bustling city where East meets West, and where European ideas of freedom and transparency sometimes clash with the cautious and controlling bureaucracy of communist China. While the international media focuses on a vital summit of world leaders, Detective Alex Soong starts investigating what appears to be a random murder. However, events threaten to get out of hand when more deaths follow. Even more troubling for Soong is that he seems to be the only person able to thwart a deadly conspiracy involving China’s future, and a dark episode from its past. Out today. While not all of these visitors had direct experience with Myanmar, many were well-versed in the challenges of pitching Asian stories to British and American publishers, and they were under no illusions that the situation here would be any different. Hong Kong-based literary agent Kelly Falconer – who describes herself as representing “Asian authors, experts on Asia, and writers living in Asia, be they Asian or not” – said she looks for works that will sell in the English-language market and have appeal to Western readers. “I’m looking for fine writing, something that really captures my heart and takes my breath away, and that I hope will have a similar effect on anyone who reads it in the UK or the USA,” she said. Falconer – whose clients include poet Ko Ko Thett, co-editor and translator of the 2012 anthology of Myanmar poetry Bones Will Crow – said that while she thinks the appeal of Asian literature is growing in the West, there are many challenges to overcome, including the tendency for agents, editors and readers to “reach out for the familiar”. “I think there are editors and agents who are looking for something to confirm their prejudices … Readers in the West often want something that’s very familiar. They’re reading about the Cultural Revolution in China and are still trying to understand how China has reached the point it has today,” she said. Michael Vatikiotis, a writer and journalist who has published several fiction and nonfiction works on Southeast Asia, agreed that the world of publishing often relies on perpetuating stereotypes. “A publisher will fixate on something that’s worked – the Harry Potter of India – and everything else just falls off a cliff,” he said. He cited Indonesia – the subject of much of his writing – as an example of a country that can be a hard sell to Western readers. Writer Dipika Mukherjee, whose 2011 novel Thunder Demons is set in Malaysia, said she constantly struggles with the issue of how to connect with readers in the West. Kerry Glencorse, a literary agent based in London who represents Golden Parasol (2013) author Wendy Law-Yone, said many readers prefer being “spoon-fed” stories that are easy to digest, making it difficult for books about unfamiliar cultures to break out of a small niche. “But there are books like [Chinese author Jung Chang’s] Wild Swans from other cultures that have gone on to be huge successes. They can be really big. It’s just trying to find the right one,” she said. Marysia Juszczakiewicz, who founded the Peony Literary Agency in Hong Kong, said she tries to find stories that “speak to an international audience” and that “are not so steeped in that culture that people outside have no comprehension of it”. One of the writers she represents is Duncan Jepson, the Hong Kong-based author of the novels All the Flowers in Shanghai (2012) and Emperors Once More (2014) and former managing editor of Asia Literary Review. 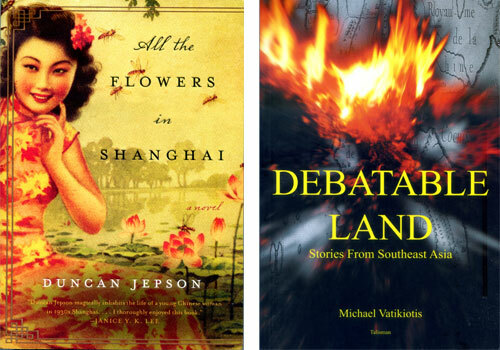 “You do end up thinking, ‘We can’t publish this because it’s too esoteric.’ It’s a story about Laos or some aspect of Cambodia that people think is too arcane,” Jepson said of his work at the literary review. For many Asian authors, regional idiosyncrasies manifest themselves not only in subject matter but also in writing style, which only adds to the challenge of cross-cultural publishing. Myanmar author Ma Thanegi – who has written several English-language nonfiction works, including the travelogue The Native Tourist (2005) and the prison memoir Nor Iron Bars a Cage (2013) – said the format and characteristics of English and Myanmar literature are very different. “I can be irreverent in English, but the written word is taken very seriously by the Burmese – especially for a woman who is no longer young and ‘should be dignified’ – unless it is an all-out complete satire, which is also rather rare. Burmese satirical books often have the subtitle ‘satire’ just in case a reader misunderstands and gets angry,” she said. Juszczakiewicz, who represents Chinese writers such as Su Tong, author of Raise the Red Lantern (1990), and 2012 Nobel Prize winner Mo Yan, said Chinese novels are often constructed differently from Western works. Duncan Jepson is the award-winning director and producer of five feature films. He has also produced documentaries for Discovery Channel Asia and National Geographic Channel. He was the editor of the Asia-based fashion magazine WestEast and one of the founders and managing editors of the Asia Literary Review. He is a social commentator on Asia and regularly writes for The New York Times, Publishing Perspectives, South China Morning Post andHong Kong Tatler. A lawyer by profession, he lives in Hong Kong. His first novel, All the Flowers in Shanghai, was published by HarperCollins. He also co-storied the graphic novel, Darkness outside the Night with Xie Peng. 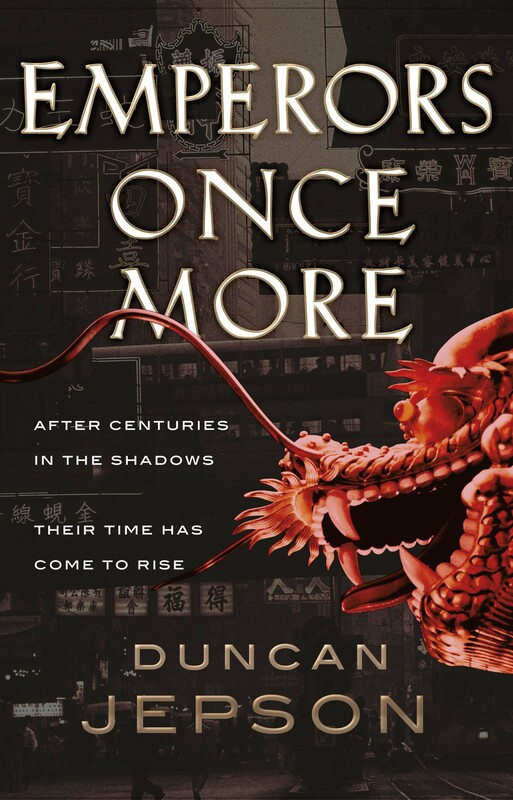 His first book in the crime series,Emperors Once More, published by Quercus in March 2014. His first novel, All the Flowers in Shanghai was a bestseller. He also co-storied the graphic novel,Darkness Outside the Night with Xie Peng and is currently writing a crime series due to be published by Quercus. The first title, Emperors Once More, is coming out in March this year. 500 Words From…is a series of guest posts from authors, in which they talk about their newly-published books. Here Duncan Jepson explains the background behindEmperors Once More, which is published today. The novel is the first in a Hong Kong-based crime trilogy featuring Detective Alex Soong. Duncan Jepson lives in Hong Kong. His first novel was All The Flowers In Shanghai. A founder and former managing editor of theAsia Literary Review, he writes regularly for the New York Times, Publishing Perspectives and the South China Morning Post. Emperors Once More is eligible for the ABB Book of the Lunar Year in the Year of the Horse – see the post of Jan 30, 2014 for details. If you want to vote for it, please do so by posting a comment, or by e-mailing asianbooksblog@gmail.com.